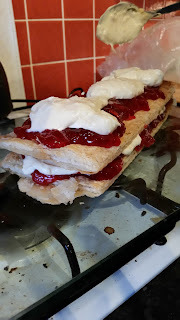 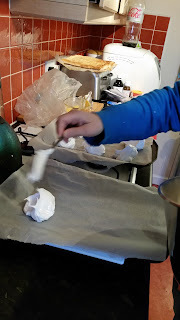 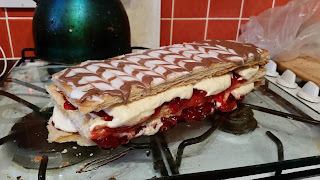 Jay and I continued with our baking a wee while back - this time some Mille-feuille (recipe here). 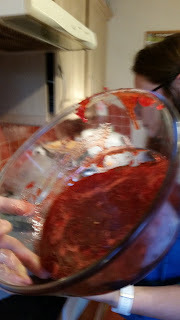 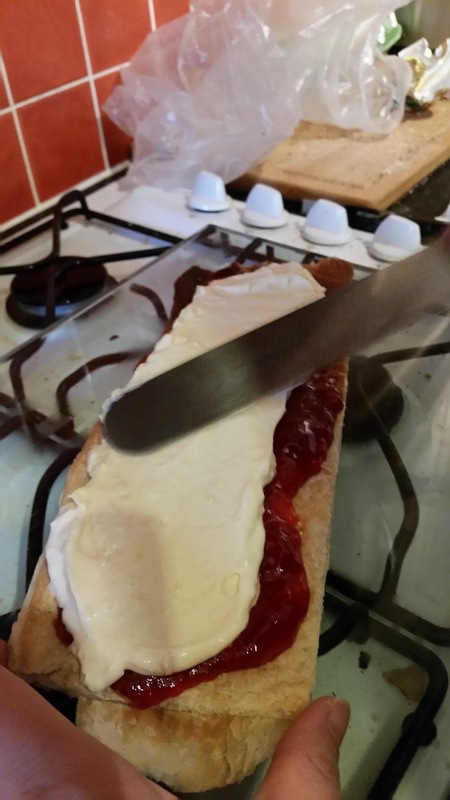 We were quite please with how they turned out, and the home made strawberry jam and merginue made from leftover egg whites were also pretty good too! The strawberry jam. Jay did all of this and it is every bit as good as it looks! 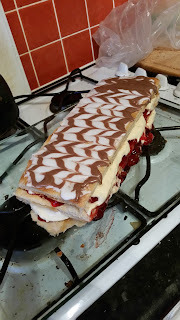 We cheated with the pastry - it was pre-made - but all the rest was ours.